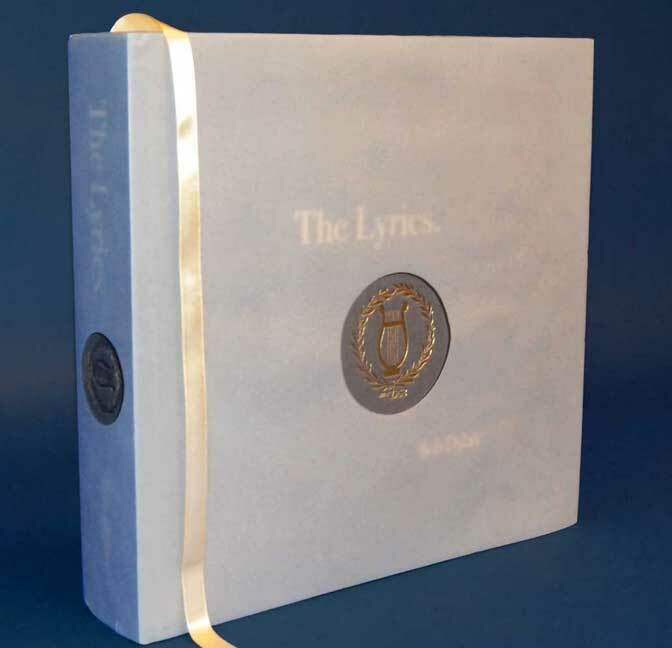 By Stephen Pate – Rock Art Editions says the new Bob Dylan lyrics book – The Lyrics Since 1962 is a must-buy. According to Rock Art Editions, the book can be expected to re-sell on eBay for a tidy premium now that it sold out. At 13 pounds, the book is not a casual read. With only 3,000 copies it is now out-of-stock in the US, UK and Germany. Quoting Bob Dylan lyrics stand out as one of the cultural high peaks of the last half century. The three different collections published since 1973 are testament to an extraordinary talent. Bob Dylan – The Lyrics Since 1962, the new, fourth, collection, is a must-buy limited edition for rock art collectors and investors. It’s published by Simon & Schuster in the USA next Tuesday, 28 October 2014. Bob Dylan – The Lyrics Since 1962 is important for readers of ROCK | ART | EDITIONS because it’s likely to become a sought-after rarity very quickly. It’s published as a limited edition of 3,000, priced at $200 – £120 to English buyers, though Amazon UK discounted it to about £80. Simon & Schuster continue: “This is an extraordinary work – truly a collector’s item.” I don’t usually endorse new product hype, but I agree wholeheartedly with this assessment. But you’re probably too late to buy a copy from Amazon: neither their UK nor US sites is still advertising it. They’ll sell you a Kindle version, with the same content, but digital editions are of little interest to collectors and investors. Other retailers? You’ll need to hurry: good luck! It’s small consolation, but it won’t be long before some of the first buyers are selling them online “brand new… unopened…” – at a substantial premium. I can’t make out from the promotion whether the photograph above is of the edition of 3,000. I suspect that it might show the deluxe version, described below, and that the standard edition will not be slip-cased.